Preheat the oven to 425℉. Toss beets in a baking dish with 1 tbsp oil and ½ tsp salt. Add ¼ cup water, cover the dish tightly with foil, and bake until the beets are tender, about 35 minutes. Uncover the dish and bake until the water is evaporated and the beets are caramelized, about 15 minutes more. While beets cook, prepare ecoLife® Red Lentils according to package directions. 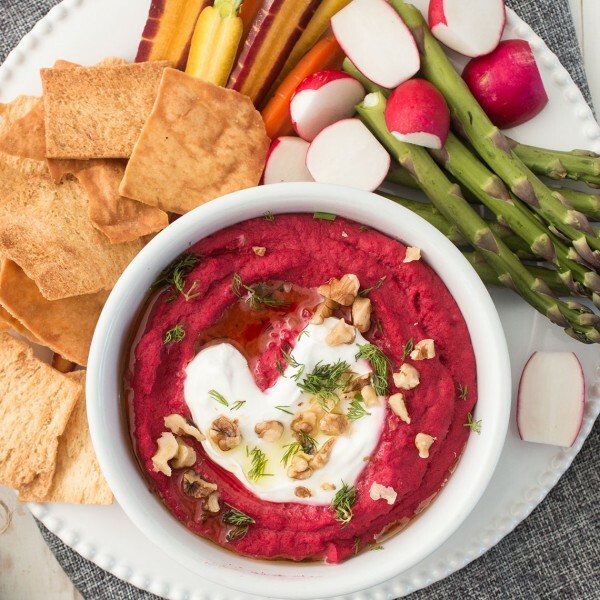 In a food processor, combine cooked beets, lentils, tahini, ½ cup olive oil, and 1 tsp salt. Process until smooth. Transfer to a serving dish and top with yogurt, olive oil, walnuts, and dill.